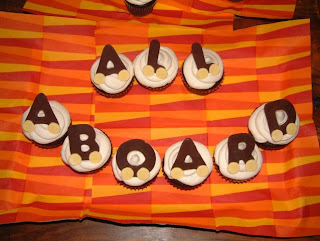 I'm pretty shy about my baking. 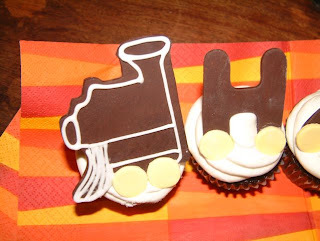 Which is why I have gone to the Uncommon Cake for help with Spud's last 4 birthday parties. 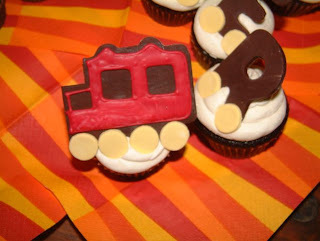 When he turned two, we had a simple train-themed get together with a few friends and all delighted in the cupcake train of goodness. One day I'll try my hand at the birthday cake. One day. In the meantime, I'm leaving it to the professionals.